Prep the pork belly -The belly needs to be in boneless skinless strips that are about 1.5 inches wide, and 5 inches long. Depending on how you buy your pork belly, it might be in a large slab, or strips with bones and skin. Step one is to get it into the strips. Afterward you can easily remove the skin by making a slit at one end, then running your knife along the skin and holding the belly secure as you move the knife away from where your hand is. Mix the beer with the BBQ sauce and taco seasoning (I prefer homemade but store bought will work just fine). 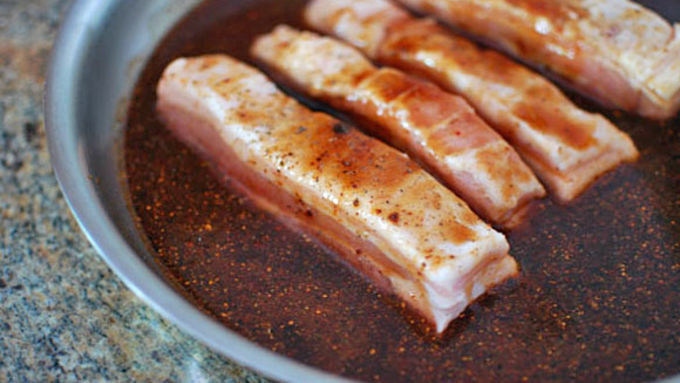 Line up your pork belly strips in a baking dish and pour your sauce over them. Let cook at 275°F for about 5 hours until just blackened on the outside and very tender. While the belly is cooking, slice up your cucumber with either a julienne peeler or the shred attachment of a food processor. 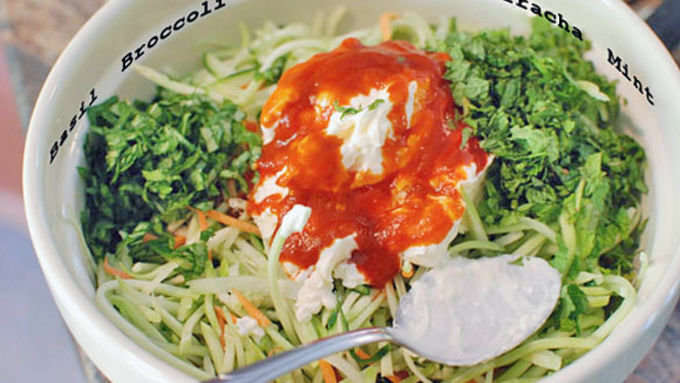 Mix the cucumber with the broccoli slaw and all the rest of the slaw ingredients. Season and mix well and allow to sit an hour before serving. Heat the tortillas in a dry hot frying pan for about 15 seconds a side. Make your taco by filling a tortilla with a few pork cubes, a few slices of avocado, and a nice scoop of slaw. Oh pork belly, how I love thee. Let me count the ways… One, you are so cheap! Other trendy cuts like flank and skirt steak used to be cheap, but have skyrocketed recently due to their popularity. Not you. Two, you are so easy to make! Add a couple flavorful ingredients, and into the oven. No messing around with searing before or shredding after. One temperature, 5 hours, remove from oven and eat. Three, you are just so delicious! There is also that whole thing about how you are bacon and pancetta, but we aren't even gonna go there today. 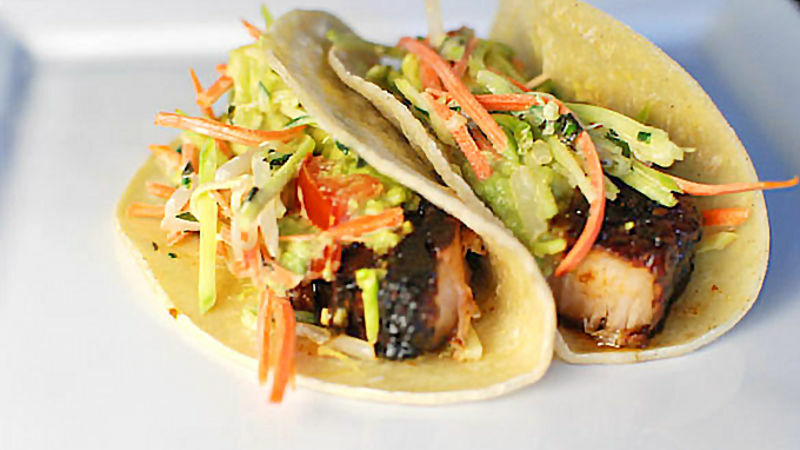 Today I love you just the way you are...slow braised in these BBQ Pork Belly Tacos. Make these and you’ll be in love too! 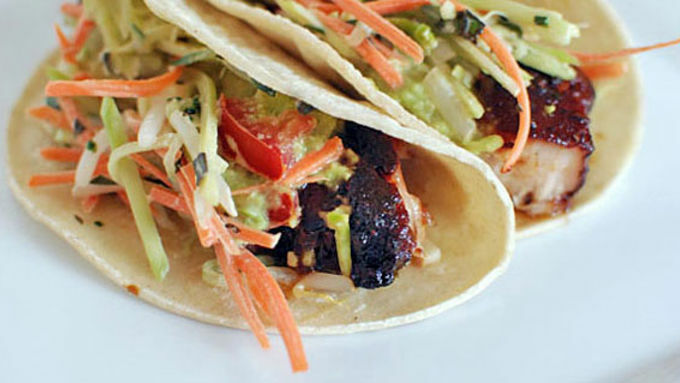 Pork belly is right at home in a tortilla with some avocado and broccoli slaw. Whether it's Taco Tuesday or anyday, these recipes will keep every taco fan happy.